I watched Broadchurch season 2 with something of a sense of disappointment, frustrated that it didn’t live up to the first season with it’s erratic characters, unlikely plots and unrealistic presentations of the legal profession. But when I looked back at my review of season 1 I found the following line “it relied very heavily on red herrings, stupid characters, sudden turnarounds and unlikely coincidences.” so as it turns out, season 2 was actually pretty consistent! 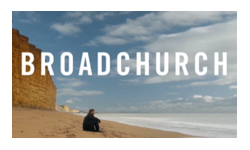 I think I was remembering Broadchurch as better than it was for two reasons – the performances and the addictiveness of it. You couldn’t really not watch Broadchurch, everyone was talking about it, and everyone wanted to know who killed Danny. Each episode had a one step forwards, one step backwards, half a step forwards cliffhanger structure to it that was completely addictive. And while you might be aware of that manipulation you didn’t care because you were also completely tied in with the performances from Olivia Coleman, David Tennant and for me at least the under-appreciated and completely heart-breaking performance of Jodie Whittaker as Danny’s mother. So how was it that Broadchurch season 2 induced such a negative response when it was actually doing something extremely similar, with largely the same people? The always insightful Maureen Ryan pointed out something that I hadn’t really thought of but could be at the heart of the issue. The season was mostly built around the same case as the first, but just rehashing everything and telling the audience “it consciously and deliberately undoes much of what was powerful about the shattering conclusion to the first season”. It’s frustrating and a bit boring. The secondary case, the ‘one that got away’ that has haunted Tennant’s Detective Hardy never has the same emotional punch as the first. We’re not connected with the victims or their family, the only emotional link we have is Hardy himself, and given his rather repressed character it just never quite lands. In the end, I’m still glad I watched the second season (I nearly gave up a couple of times) as the final episode was very well done and had the emotional punches that I hadn’t found in the earlier episodes. Plus of course there’s always the simple joys of watching excellent actors at work and I’d watch Olivia Coleman in just about anything. Still, I wish the writers had taken it in a slightly different direction.